Ivan was born in 1996 in the family of a musician. He started to play piano when he was 4 years old. In 2003 he entered the Secondary Special Music School at the Saint Petersburg State Conservatory named after N.A. Rimsky-Korsakov (class of Mark Reizenshtock, the Honored Artist of Russia ), from 2006 he has been studding in the class of Elena Dernova, the honored Worker of Culture of Russia. 2007 – laureate of the I prize at the International Young Musicians’ Competition (Tallinn, Estonia). 2007 – laureate of the III prize at the International Garts Competition (Saint Petersburg). 2008 – laureate of the II prize at the International Competition (Nizhniy Novgorod). 2009 – laureate of the I prize at the International Competition of Chamber Ensembles (Tallinn). 2012 – laureate of the I prize at the International Knushevitskiy Competition (Saratov). 2014 – laureate of the I prize at the International Knushevitskiy Competition (Saratov). 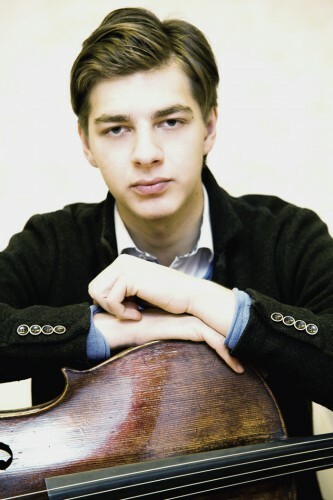 2016 – laureate of the III prize at of VI International Cello Competition «Antonio Yanigro» in Zagreb (Croatia). 2018 – laureate of the I prize at the III All-Russian Music Competition (Moscow). He performed in the best concert halls of Saint Petersburg and of Berlin, Geneva, Vena, Zurich, and Paris.